This fall Studio 5 in RPI’s Design, Innovation, and Society (DIS) program created a collaboration with partners on the island of Inagua in the Bahamas. With the help of an engineer who works on the island, Mark Klein, we gathered data on local needs, resources and challenges. During September they were hit by hurricanes Irma and Maria, and this drove home the importance of resilience in any solutions we developed. Key issues turned out to be those common to many low-income communities in the developing world: limitations on fresh water, fresh food, and income; and the growing threats of climate change. 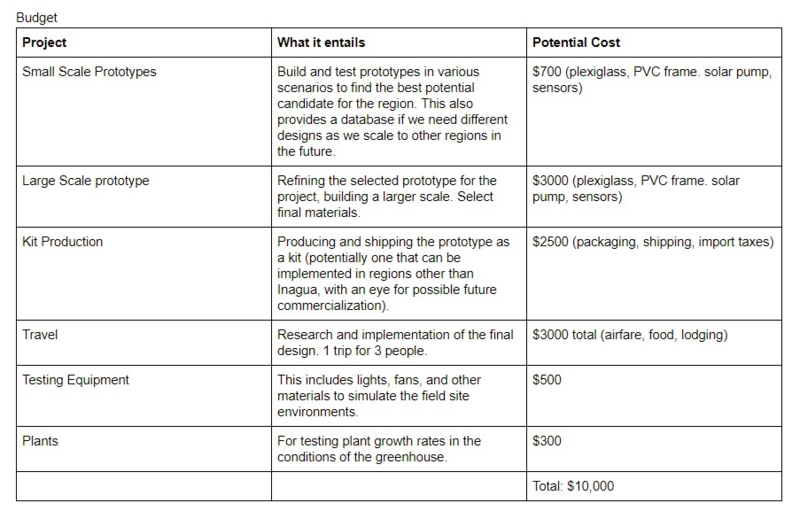 In answer to these problems we have developed a design for a greenhouse which simultaneously provides fresh water. The system is relatively simple: seawater is pumped into circular troughs inside a closed dome. The evaporation of the water condenses on the interior wall, runs down to collectors and waters the plants. 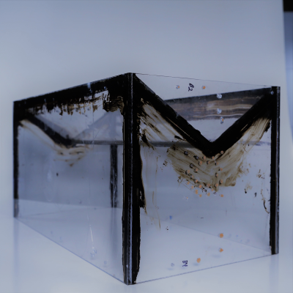 A sensor system diverts the water to capture for human use when the soil is sufficiently moist. Because domes are generally regarded as the most rugged structure for withstanding hurricanes, we selected that shape as our initial design for the exterior. 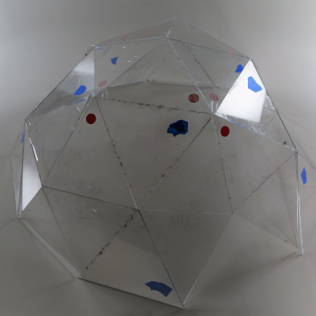 An additional advantage is that geodesic domes can be packaged and shipped as kits, offering the possibility that this could serve as an emergency structure in the case of disasters in need of fresh water. This project requires a multidisciplinary team because the demands include fine-tuning a growing environment, creating a physical structure that can withstand high stress from hurricanes, calculating and testing fluid and vapor transitions, and bringing these various dimensions together in ways that empower the health, income and other social benefits for a low-income community. Our student team consists of a mechanical engineering major, business major, and biomedical engineering major, all collaborating under the umbrella of DIS. Faculty expertise includes Caribbean culture (Bennett); architecture for developing nations (Lokko); and integration of science, technology and society (Eglash). Inagua is the southern-most island in the Bahamas and is made up of two islands; Great Inagua and Little Inagua. Inagua is also rich in salt which has stimulated its economy by attracting Morton Salt Company to settle there. Inagua has salt ponds and also has high salinity soil. Because of this, the people of Inagua are unable to grow their own food. Their produce is shipped to them and often times is rotten when it gets to them. Since the produce goes bad very quickly, if it isn’t rotten already, the Inaguaian diet is high in processed foods. The water supply there is also highly chlorinated and is not suitable for crops. On average Inagua gets 25.5 inches of rain per year. There are cisterns set up to catch the rain, however, they are not used. 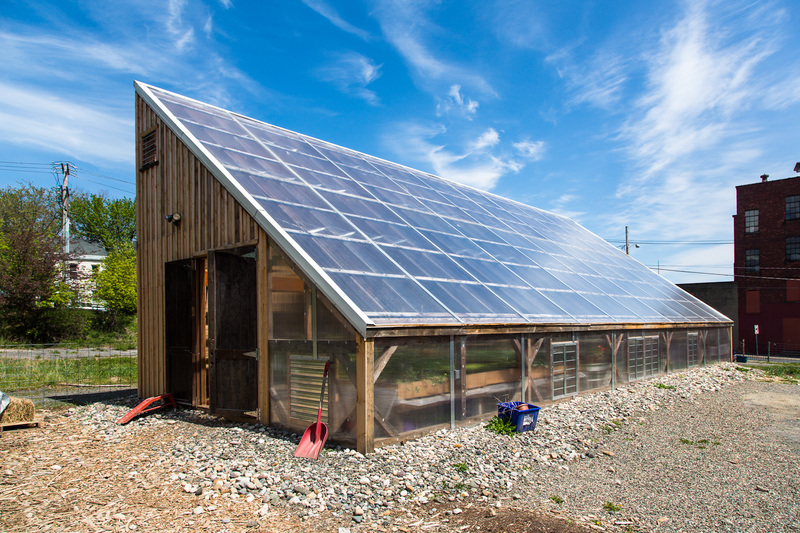 The idea of a saltwater greenhouse comes from the natural water cycle. Saltwater is heated by the sun and evaporates leaving the salt behind. The evaporated water is condensed with either cold air or a cold surface and is collected. This collected water is now freshwater and can be used to water crops. There are many designs already out there for an evaporative greenhouse, however, they all involve a lot of energy input and are to be used like a “factory” for food. They are also all designed for arid regions, whereas Inagua is tropical. Above is an image of a saltwater greenhouse from Seawater Greenhouse Ltd., a company that builds seawater greenhouses in arid regions near the sea. The team visited Scott Kellogg of the Radix Center to learn more about greenhouses and get advice on building a greenhouse in a tropical environment. Scott recommended that we make our greenhouse from tempered glass because it doesn’t yellow and it takes a lot to break it. This is especially fitting for Inagua since they often get hurricanes. When asked about what types of plants we should grow, Scott told us that collards, okra, watermelon and tree crops like citrus fruits, mangos, and avocados, would do well in a hot and humid environment. Temperature regulation seems to be one of the biggest challenges for greenhouses and to help with this Scott recommends the use of fans and filling empty space with liquids or solids which act as a buffer. Scott also recommended that we compost to help rejuvenate the soil that it down there. The most important thing when composting is to have the correct carbon to nitrogen ratio (30:1). Our users are the people of Inagua who have an interest in learning more about agriculture and like to carry out DIY projects. 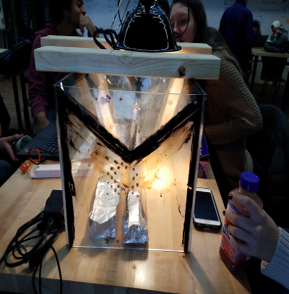 Our initial prototype combined the idea of a saltwater greenhouse and a rainwater catchment system. Saltwater will go in two long basins against the long sides of the greenhouse. An empty bin will be in the center and will also run the length of the greenhouse. This bin serves as a container to collect the freshwater in. The idea behind this is that the water vapor will condense on the “caved in” roof and gather along the “pitch.” The condensed water will then drip into the middle bin. The roof serves a dual purpose; to catch rain water on top, and to make condensation more efficient in the greenhouse. The caught water on top of the roof also cools the roof. By cooling the roof, we are speeding up water vapor condensing to it. 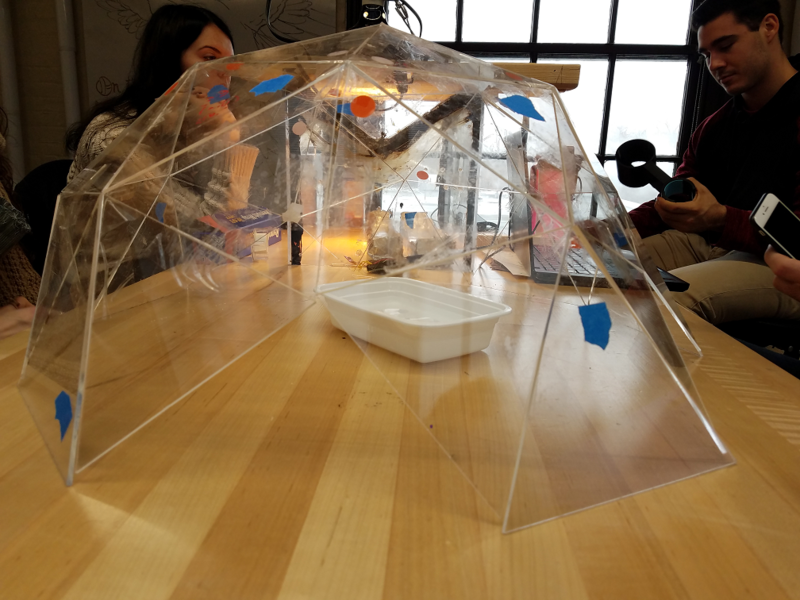 After compiling our research and the data collected from the tests ran using our initial prototype, we began considering a different design for the greenhouse itself. Due to the inclement weather conditions of the island of Inagua we had to design a structure that would be able to withstand the winds and potential tropical storms. We converged on a geodesic design and built a small scale model. Prior to October 15th we had written and submitted a project proposal for the Burt Swersey Inventor’s Challenge Studio supported by the Lemelson Foundation. We heard back at the end of November that the reviewing board was interested in funding out project but they needed more detail about our specifications for budget and timeline. With the proper funding granted to us from the Burt Swersey challenge studio we will be able to continue this project and hopefully travel to Inagua to construct our final design. 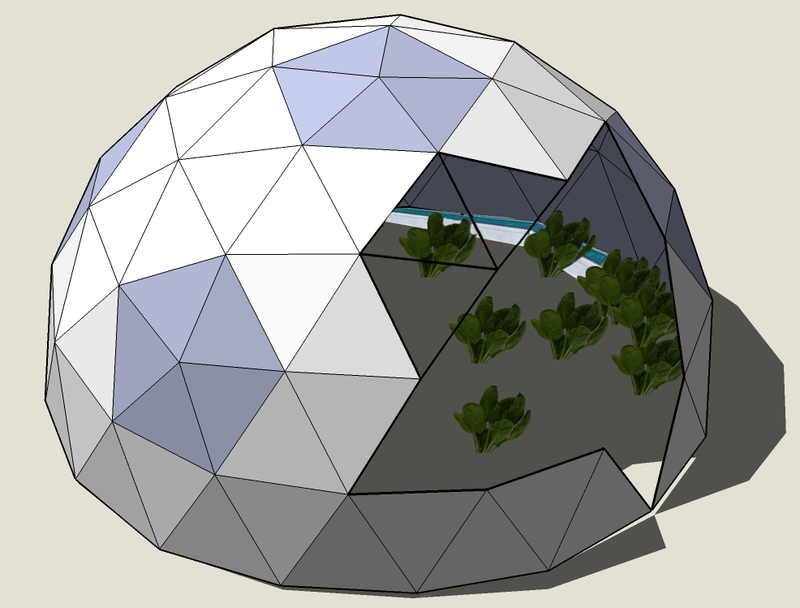 The three of us will be continuing this project as an independent study and will be furthering our research into the geodesic design and the materials that are most optimal for the purpose of the greenhouse.